The massacre of over 150 Lakota at Wounded Knee in 1890 is often taken to be the “end” of Native American history — a notion unintentionally reinforced by Dee Brown's groundbreaking 1970 book, "I Buried My Heart at Wounded Knee". 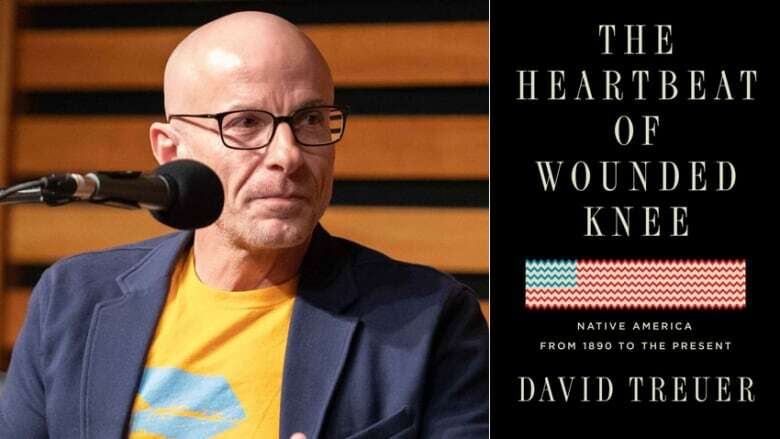 This idea of history as tragedy is something that Ojibwe writer David Treuer tries to undo in "The Heartbeat of Wounded Knee". He argues that both before and after contact was made with colonizing Europeans, Indigenous peoples have always found ways to adapt, survive and thrive -- and that's exactly what they're doing now. The massacre of over 150 Lakota at Wounded Knee in 1890 is often taken to be the "end" of Native American history — a notion unintentionally reinforced by Dee Brown's groundbreaking 1970 book, I Buried My Heart at Wounded Knee. This idea of history as tragedy is something that Ojibwe writer David Treuer tries to undo in The Heartbeat of Wounded Knee. He argues that both before and after contact was made with colonizing Europeans, Indigenous peoples have always found ways to adapt, and that's exactly what they're doing now. David Treuer believes in stories. And that what we tell ourselves greatly determines how we live now, and how we imagine ourselves in the future. This belief lies at the core of his book, The Heartbeat of Wounded Knee. Native Americans, as he puts it, must reframe their collective past to see it as encompassing the tragedies of history, but not to see tragedy as all-encompassing. David is Ojibwe, and teaches literature at the University of Southern California. He grew up on Leech Lake reservation in northern Minnesota. His mother was a tribal court judge; his father, a Holocaust survivor from Austria. That mix of heritage has tempered David's worldview, to resist black-and-white judgements that simplify reality at the expense of richness, nuance and accuracy. American author David Treuer. 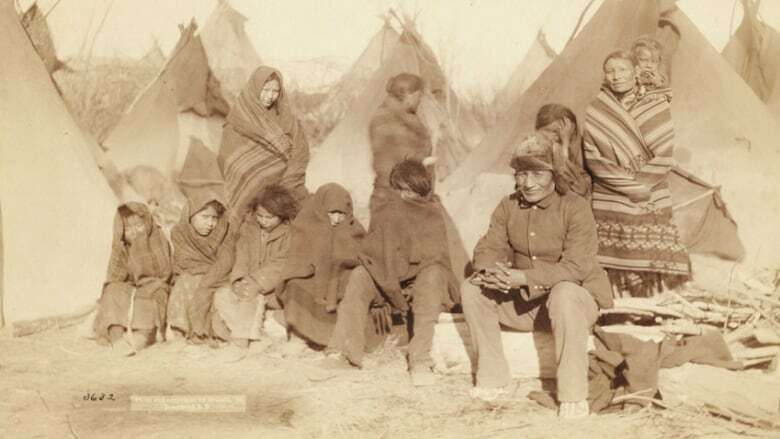 His latest book is "The Heartbeat of Wounded Knee: Native America from 1890 to the Present." David was in college in the early 1990s when he first encountered Dee Brown's book. His response to reading of it was ambivalent: on the one hand, it courageously documented the horrors inflicted on Native Americans; on the other, it recapitulated the sense that Indigenous peoples are historically marginal, on the brink of eclipse. "It pains me to think about Wounded Knee," he writes. "It also pains me, for different reasons, to read about it in books like Dee Brown's. What hurts is not just that 150 people were cruelly and viciously killed. It is that their sense of life, and our sense of their lives, died with them… And they are lost again and again when we paint over them with the tragedy of 'the Indian'. In this sense, the victims of Wounded Knee died twice — once at the end of a gun, and again at the end of a pen. We die, too, in our own minds." This episode features an onstage interview with David Treuer by Mohawk author, educator and activist, Taiaiake Alfred, recorded at the Toronto Reference Library. The two share insights, and laughter, about the resilience and resurgence of Indigenous peoples both past and present. The opposite of tragedy, David concludes, is not hope. It's complexity. Native Americans have been around for as long as 20,000 years. And as he tells Taiaiake, we're still here — still making our own history. David Treuer is an American writer, critic and academic. His book, The Heartbeat of Wounded Knee: Native America from 1890 to the Present, is published by Penguin Random House, 2019. Taiaiake Alfred is an author, educator and activist. David Treuer's rebellious new history of Native American Life, book review by Emily Witt, The New Yorker, February 6, 2019. A New History of Native Americans Responds to 'Bury My Heart at Wounded Knee', book review by Ned Blackhawk, New York Times, January 20, 2019.